Planning for the big day involves a lot of work right from fixing the venue to ordering cake. Add to it, the never-ending prenuptial events of which bridal shower holds a special place in every to-be bride’s life. When of one of our pals in the group was getting hitched, I being the maid of honor planned the theme and made the arrangements. The last leg of the exercise was sending out invitation cards to the guests. 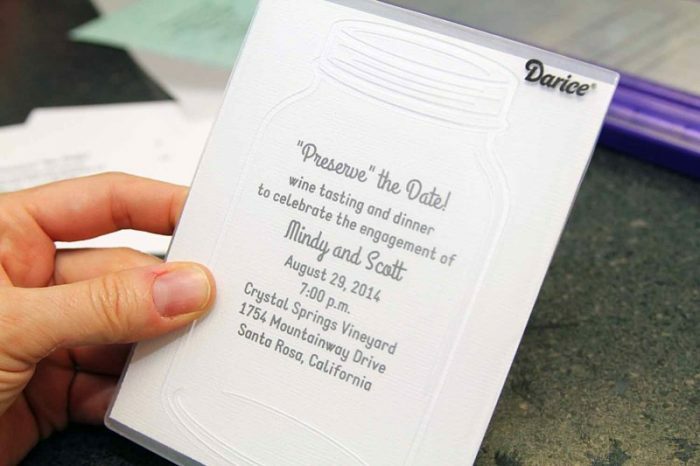 Keeping in mind the growing trend of mason jars, we decided to make the cards the mason jar way. Although the tutorial I referred to from Crafts Unleashed was on making wedding cards, everything remained the same except for the writing. Cut the printed paper into four sections and place one of them into the mason jar embossing folder in such a way that the text appears at the center of the image. 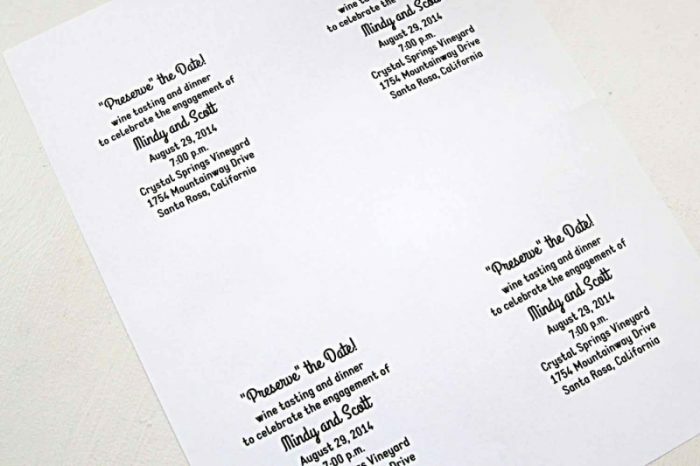 Send the embossing folder through the embossing machine. 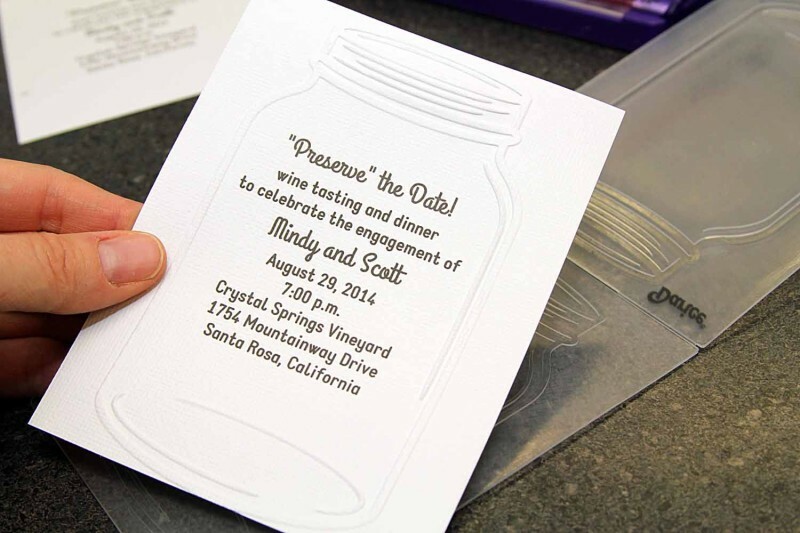 Remove the embossed paper (now your invitation card). Use a rectangular strip of the silver craft paper, place it on the lid of the embossing folder, and cut out the embossed portion. Glue it to the top of the embossed mason jar invitation card. 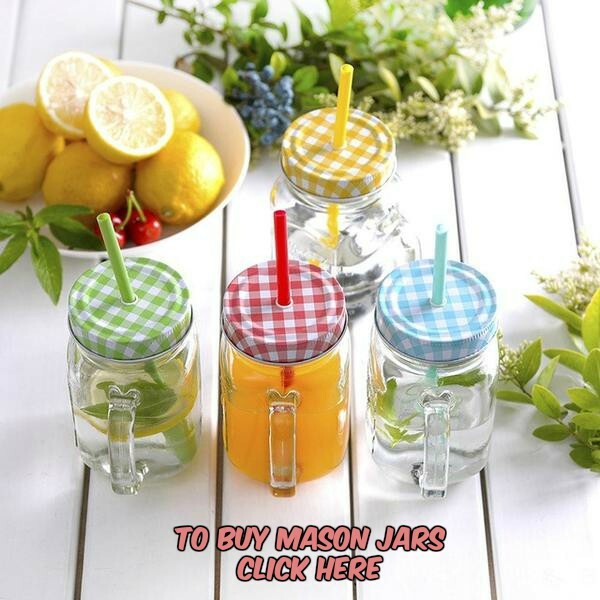 Punch two holes on the sides of the neck of the mason jar. Slip the twine through the holes and tie into a pretty bow. Get ready to distribute the bridal shower cards to the near and dear ones. Since our entire group was involved in the card-making process, we finished in two days. Our fancy luncheon kick started on a happy note and ended with a crazy dance party. 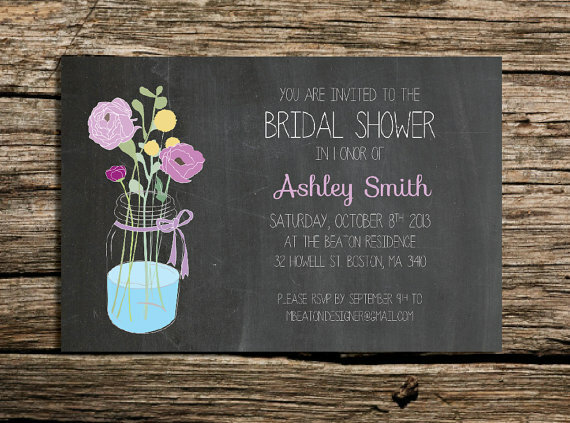 A simpler version of a bridal shower invitation card involves smearing chalkboard paint all over a white cardstock and drawing a mason jar vase on it. 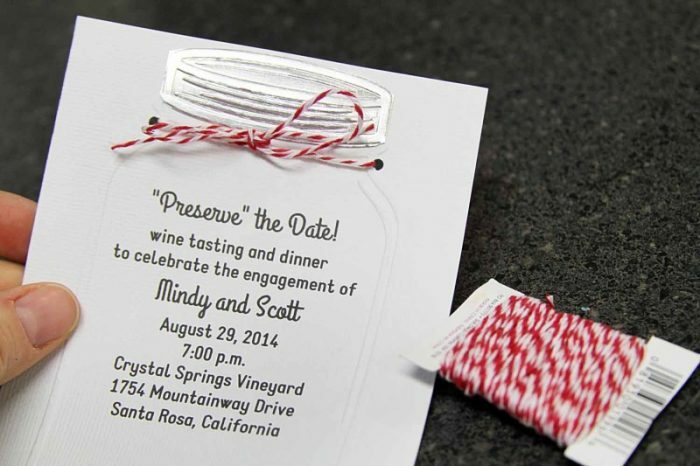 Embellish the borders with burlap ribbon to make it look rustic. 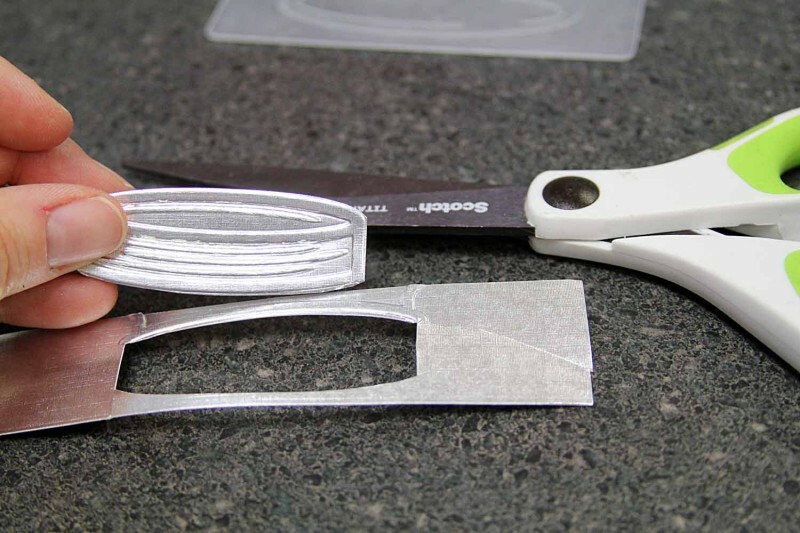 The idea would be suitable for those not having an embossing machine at home. The handmade cards have a personal touch that would be cherished by your best friend for years. Wouldn’t you like going back to the age of snail mail for a while and embrace the spirit of celebration?